1. Go to the Payments tab. 2. 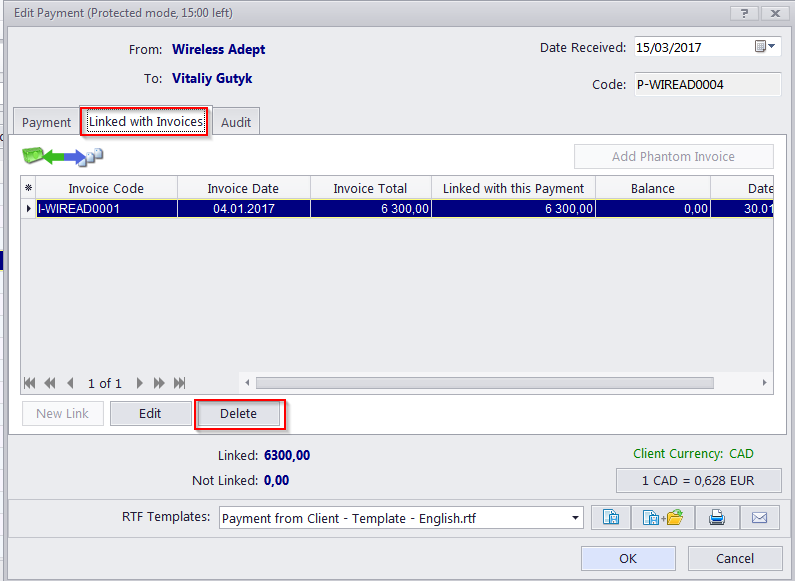 Open a payment which is linked with that invoice. 3. Switch to the "Linked with Invoices" tab and delete the invoice link. 5. Perform steps 2-4 for each payment linked with this invoice.